We are Independent Home Inspectors, certified though ASHI, interNACHI and other professional and related associations. It is very important to know that we are highly revered, recommended and more important, MOST TRUSTED throughout the Professional Home Inspection Industry… and very soon, all New Mexico Home Inspectors will be required to have a state license, which AHI is in full agreement of this pending legislation to protect the public welfare at large. Do prospective homebuyers have the right to use an inspector of their own choosing? We work with many real estate brokers in a cooperative manner, not only to assist our clients, usually the “Buyer,” but indirectly for the “Seller” too; to create a smooth transition from the offer to the closing. If anyone tells you to use the Inspector of their choosing that you have taken the time to research on your own, there shouldn’t be any interference whatsoever. If not, or if one insists that you should use one of their "recommended" or "approved" inspector, you should be suspicious of that policy. Most real estate brokers work hard too, and will encourage a smooth transition of the entire selection process. Keep in mind, the home inspector you're paying for is working for your best interest. To avoid any conflicts of interest or liability, ethical Real Estate Brokers provide their clients, the “homebuyer,” with a comprehensive list of the local, qualified and Certified Home Inspectors; and thereby they do not offer unsolicited opinions or show any favoritism to control the deal at hand. It’s the job of an Independent Inspector to give their clients the very best evaluation on any Inspection and to protect their client’s interest with the real estate transaction. ActiveHome Inspections is Top Ranked and MOST TRUSTED. AHI' Home Inspectors are Qualified and Certified with ASHI & interNACHI for the Professional Home Inspectors' Industry. And AHI' is considered by former clients as the Best Problems Solvers in this Industry. ActiveHome Inspections has received a 5-Star ***** Rating from their clients and AHI' Home Inspectors come highly recommended and preferred throughout Santa Fe's Real Estate market because of AHI's prompt and thorough Home Inspection Service, which includes expertise in all the related fields of environmental testing for Mold exposure, remediation plans, Radon levels, mitigation designs, presence of Lead paint, removal, Asbestos, abatement, etc. ActiveHome Inspections have achieved one of the best reputation in the House/ Home Inspection field with integrity. The AHI team are known as "problem solvers" having the qualified skills to assist you, the "client" with SMART assessments to make sound decisions. A Buyer is better served in consideration of their investment that ideally enhances the transition of turning the house into a home. ActiveHome Inspections' will preform an active forensic examination of the property that we considered to be a living environment in an active marketplace; to assist Buyers, Sellers, Real Estate Brokers, Insurance Agents and Bankers; and present a fair and unbiased Building Inspection Report along with our SMART assessments tailored to the present-day conditions. & Testing Services to best serve your needs. Please inquire about Townhouse or Condo inspections,' which covers: Interiors, Doors & Windows, Appliances, Equipment, Mechanical Systems and Public, Health and Safety concerns. The cost for a Condo inspection will be charged at $299.00; and for Townhouses will be charged at $399.00, if below 1500 square feet. See Inspection Rate Card for more Details. ActiveHome Inspections is offering Drone Technology to better enhance our inspections where difficult situations are encountered; such as high pitched roofs, impossible to climb without an extra high ladder that’s not in our toolbox or high pitch roofs that are too steep of foot. Our new Phantom Drone can easily fly over the inspected house to see every aspect of a roof and its components and take a video or photographs that will be included in the Report. ​Drones can also fly over large scale properties where walking would take too long and look for obstructions and/ or to identify drainage problems. 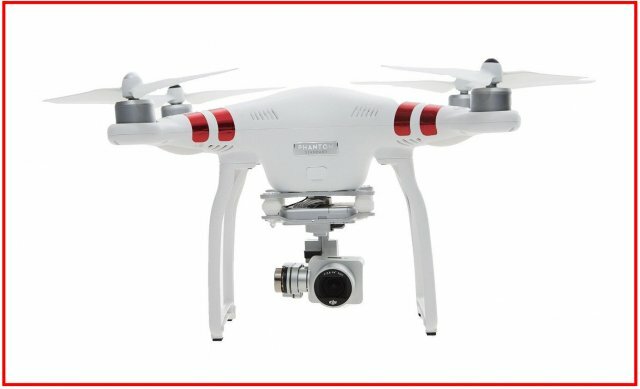 The Phantom Drone is not a toy or a gimmick, but rather, it’s a very useful tool to offer for our clients, by special request or AHI's recommendation. Pricing will be separately charged due to the extra time within the inspection field to carry out this unique and expert service. 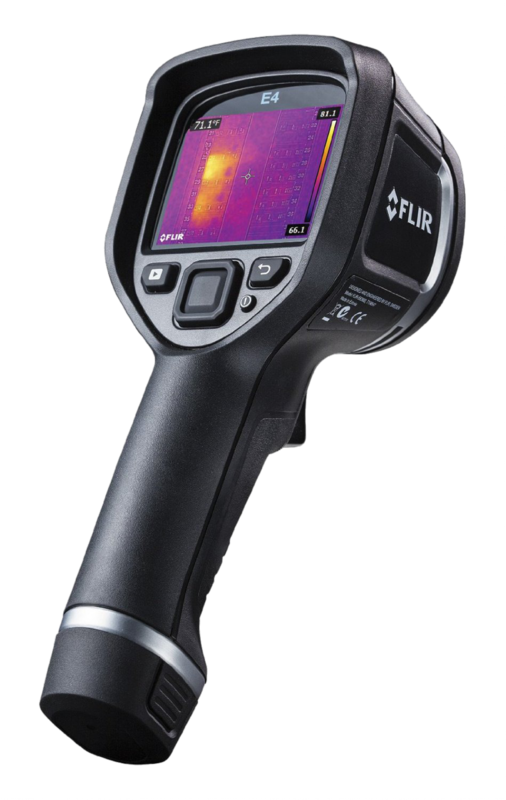 Thermal Imaging is a valuable tool that can have a significant impact on troubleshooting and Home Inspection productivity, as well as the bottom line, for Moisture, Energy Lost, HVAC, Plumbing, Electrical and most Building applications. Thermal imaging is a method of improving visibility of objects in a dark environment by detecting the objects' infrared radiation and creating an image based on that information. Here's a brief explanation of how thermal imaging works: All objects emit infrared energy (heat) as a function of their temperature. The infrared energy emitted by an object is known as its heat signature. In general, the hotter an object is, the more radiation it emits. A thermal imager (also known as a thermal camera) is essentially a heat sensor that is capable of detecting tiny differences in temperature. The device collects the infrared radiation from objects in the scene and creates an electronic image based on information about the temperature differences. Because objects are rarely precisely the same temperature as other objects around them, a thermal camera can detect them and they will appear as distinct in a thermal image. Mold investigation is one of our chief specialties and we have a proven reputation and track record as Certified Mold Inspectors throughout the state of New Mexico and Colorado to test for mold spores and detect any mold growth. ActiveHome Inspections will resolve serious mold problems and pending Health Risks by using the best Remediation methods for mold removal. Check the Promotional Page and Ask for any available waviers on our standard Rate Card!